Since 1973 Kevin Starr has been writing a monumental, multi-volume history of California: Americans and the California Dream. Embattled Dreams, the sixth book in this work, covers only a decade, the war years and their aftermath, but this period was unquestionably the most transformative in the state’s history, because it was then that California emerged as an industrial and financial colossus and as the nation’s dominant social and cultural force. As in his other volumes, the scope of Starr’s scholarship is breathtaking; this is a social, economic, political, and cultural history that covers such disparate subjects as popular San Francisco restaurants, shipbuilding, changes in domestic architecture, Raymond Chandler’s fiction, the roots of anti-Japanese sentiment, baseball’s Pacific Coast League, and the rise of Richard Nixon. Starr takes the long view; throughout his books he stresses continuities, rather than abrupt change. But World War II—more specifically, the federal spending that accompanied it—is the driving, almost deterministic, force in this installment. The U.S. government’s largesse utterly, permanently transformed California’s economy, and thus the nation’s—and the world’s. By far the most complex and compelling tale in this volume is how wartime spending essentially created the aeronautical industry, with California at its heart, and in the process enabled capitalism to give rise to perhaps the closest approximation of a workers’ paradise that has ever existed. (Starr argues convincingly that companies such as Douglas, Lockheed, and Northrop engendered “in terms of employee relations and benefits … a planned social democratic utopia.”) Defense jobs all but instantly assimilated and made prosperous the state’s more than a million Okies—a group that, one would have assumed from reading The Grapes of Wrath, written just before the war, would compose California’s permanent underclass. 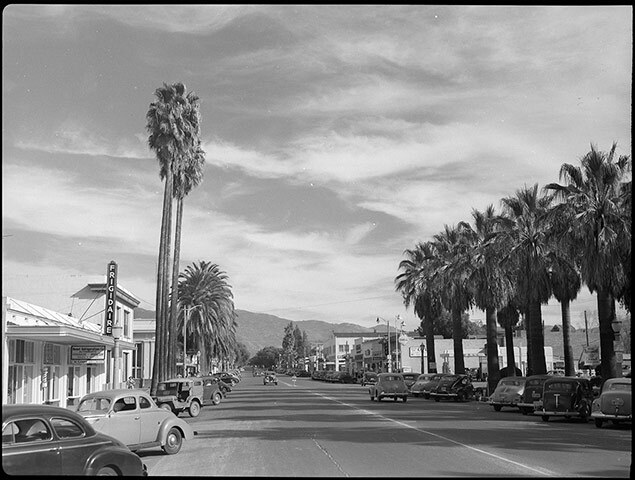 And although the Golden State’s war economy took off suddenly in 1940-1941, thanks to the Cold War it lasted half a century—a run that sustained a staggeringly large middle-class working class and that made California the high-tech center of the world, a status it holds to this day. Academic historians tend to pooh-pooh Starr as a booster and a mere “storyteller.” Certainly, compared with the trendy Mike Davis’s unrelievedly dark vision of the state’s history in City of Quartz, Starr’s view is a bit rah-rah. (He devotes plenty of space to the internment of Japanese-Americans and to the L.A. Police Department’s rather tawdry record on minority relations, but one senses that these sections of Starr’s history, which detail well-known events, are perfunctorily PC.) As for the second indictment, Starr’s is hardly the most analytical approach, but he tells his stories so intelligently and cleanly that readers who care to can make the connections and draw the conclusions that elude him in his more exuberant moments. But despite his skill as a storyteller, one story is unaccountably and inexcusably missing from Starr’s chronicle: Billy Graham’s truly historic 1949 Los Angeles revival. Graham was an obscure preacher whose downtown crusade had already fizzled out when William Randolph Hearst’s publicity machine made him, literally, an overnight sensation and thus enabled fundamentalism to regain its lost influence in American life. Graham’s success is largely emblematic of the changes that the war years wrought on what Starr throughout the volumes of his history calls “The Folks”—those middle- and lower-middle-class Anglo-Saxons transplanted from the Midwest who for so long culturally defined much of California. With his perpetual tan, incessant references to golf, and sunny, reassuring take on the Gospels, Graham appealed to a large portion of Middle America and the Sun Belt—people who, in keeping with their times, wanted a Christianity that at least outwardly conformed to their parents’ old-time religion, even as they joined the rest of postwar America in its pursuit of the good life. Although Starr neglects Graham, he focuses on another hero of The Folks: Earl Warren, California’s Republican governor from 1943 to 1953, and later, of course, the Chief Justice of the Supreme Court, a man who arguably did more to advance what is now called the “progressive agenda” than any other figure in the second half of the twentieth century. Starr understands The Folks and their influence on the state well enough to discern that the rise of Warren as a national figure represented “the triumph of Midwestern, mid-American values, very white and tending toward the suburban, which motivated an entire era and propelled California into the forefront of national consciousness.” Starr is too intelligent to feel nostalgic for the California of The Folks, but he is sufficiently unfashionable and independent-minded to sympathize with, rather than sneer at, their values.